It was a double whammy in short succession, the Dodge Viper and Challenger SRT Demon ending their production runs. 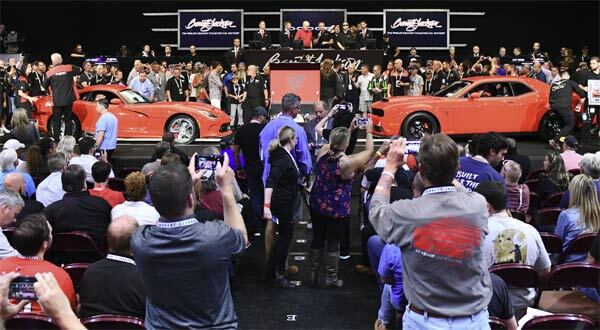 But the last ones off the production line went to a good cause being auctioned off to the princely sum of $1 million. The money raised was donated to the United Way and American Heart Association charities. The Demon was the last of its 3,300 examples built at the FCA plant in Brampton, Canada. Originally painted black, it was repainted in Viper red to match up with the Viper, comes with a custom VIN, along with memorabilia, authentication kits, build sheets and a whole host of personal goodies to authenticate both vehicles. Both vehicles’ power adds up to 1,485 horsepower, with the Viper having 645Hp and the Demon 840Hp. It will be very interesting to see what happens to these two iconic cars in the coming years.